John 5 And His Versatile Playing - Welcome To All That Shreds Magazine! John William Lowery, aka John 5, is an American metal guitarist best known for his versatility that has evolved from a gradual transition from one genre to another. Having tested his mettle with a number of instruments and in different genres, John 5 celebrates the uniqueness of his style that makes him stand out and outshine, successfully making it through multiple eras since 1987. Unlike many of his contemporaries, it was a kid’s TV show that sparked his passion for music. Having gained the support and encouragement from his family, little John started playing at a local bar at the young age of 7. This focus helped him polish his natural strengths and acquire an elementary knowledge that later provided a sound ground for him to experiment and improvise on. While his initial aptitude was heavily inclined towards the country and bluegrass genres, his style was also influenced by the likes of Eddie Van Halen, The Monkeys, Jimi Hendrix, and Yngwie Malmsteen. By the time he turned 17, John 5 formally started his music career by joining Alligator Soup, an underground band in Los Angeles. 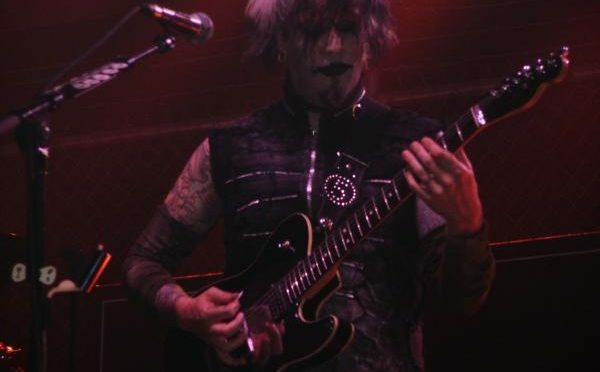 Although the band was still in its incubation phase and did not have a significant feat on its part aside from a couple of performances, the style and technique of John 5 were bold enough to catch the interest of Rudy Sarzo. After a small series of consultations and meetings with him, he officially offered John 5 to join Sun King. The association brought him into the limelight and opened up doors for many future associations, the most promising of which turned out to be the one he had with producer Bob Marlette. After a couple of meetings, he assigned him a couple of his projects, including movie scores and television commercials. Meanwhile, he also expanded his domain of collaboration and partnered with Lita Ford, Paul Stanley, Randy Castillo and other members of Kiss. In the later part of 1996, John 5 became a part of a temporary band setting formed by Rob Halford, Ray Riendeau, James Wooley, and Sid Riggs which was called 2wo. Although their first release titled ‘Voyeurs’ did not fare well, it did not revoke or decelerate the pace of prominence John 5 had started achieving due to his unique techniques. His next milestone made him meet his childhood dream in the face of David Lee Roth. After contributing a couple of lyrics for his songs, Lowery moved on to partner with Marilyn Manson and was later recalled by David Lee Roth to write lyrics for his upcoming album ‘Diamond Dave’. John 5’s career is entailed with many notable associations with numerous bands and music virtuosos. Aside from David Lee Roth and Marilyn Manson, John 5 has teamed up with an impressive array of bands and groups such as Rob Zombie, Loser, Lynyrd Skynyrd, Red Square Black and Meat Loaf. He has also focused on establishing his solo profile since 2004 and has added a significant number of studio albums, single tracks, and DVDs to his profile. John 5 continues to rule his forte and has been raising the bar through his smooth and fluid tones that transition from the country and bluegrass to the metal and industrial genres. Fusing the essence of a variety of genres, John 5 still has a long way to go to amaze and enthrall the music enthusiasts through his innovative and groundbreaking techniques.